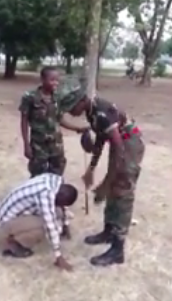 "The attention of The Nigerian Defence Academy has been drawn to a trending video showing Cadets beating some persons. Please note that NDA is investigating the incident. Preliminary investigation has confirmed the incident to have occurred in 2014 somewhere in Lagos while the Cadets were on break. NDA as a responsible institution saddled with task of producing future military leaders will not in anyway tolerate such unruly and flagrant mistreatment of Nigerians. The NDA under current leadership has addressed most disciplinary loopholes. Further investigation is continuing. Please assist and circulate. Thanks. 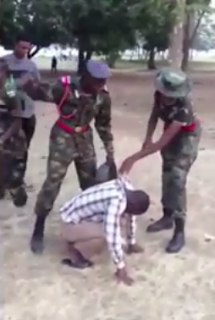 Nigerian Defence Academy".